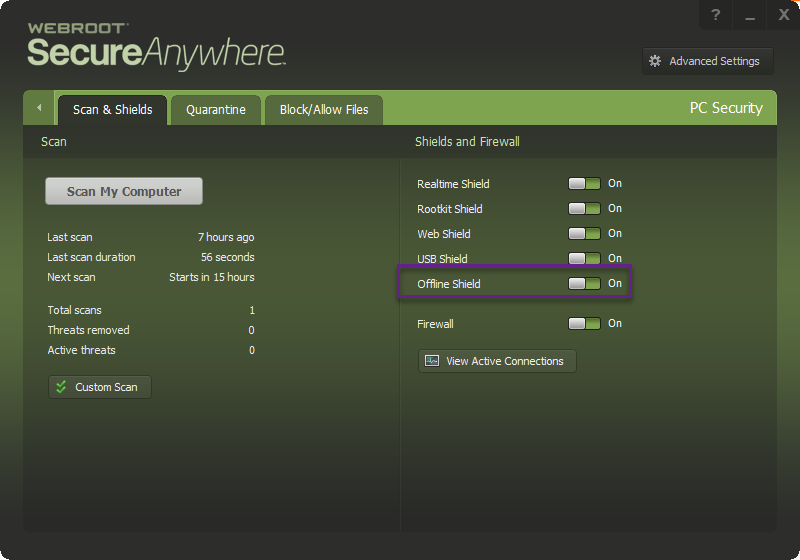 offline shield does not stay on-why? Hello @sbmccray774 and Welcome to the Webroot Community! So your saying the Offline Shield will not stay on correct? If it continues I would suggest that you try a clean reinstall!